Huddersfield Town and Fulham have endured abject seasons in the Premier League this year, and by the end of the campaign they may both be part of this list. Graham Taylor returned to Vicarage Road for his second spell as Watford manager in 1997 and immediately guided the club to promotion from the third tier. A fifth-place finish in the First Division the following year meant he had already exceeded expectations even before the Hornets went on to win the play-offs. Watford were out of their depth at the top table in 1999/00, however. 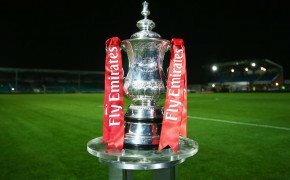 Six of their first seven defeats were by a single-goal margin and Taylor’s side did record impressive victories over Liverpool and Chelsea before the end of September, but a run of just two points from a possible 33 before Christmas gave them everything to do in the second half of the season. Watford only won another two matches after the turn of the year and were relegated with a then-record low tally of 24 points. Sunderland avoided defeat in three of their first four games in 2002/03, but that proved to be a false dawn. 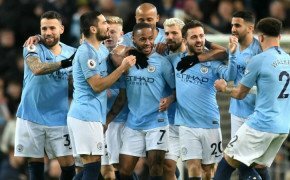 The Black Cats were certainly in with a chance of staying up at the midway point of the season, though, with triumphs over Tottenham Hotspur and Liverpool contributing to their position just outside the relegation zone after 19 games. However, a 2-1 defeat by Leeds United on Boxing Day marked the start of an astonishingly dismal run in which Sunderland drew one and lost 18 of their next 19 assignments. Howard Wilkinson, who had replaced Peter Reid in October, departed the Stadium of Light with two months of the campaign left, but Mick McCarthy was unable to engineer a turnaround. Aston Villa were a declining force prior to 2015/16, but few could have predicted just how disastrous that campaign would be for the West Midlanders. Tim Sherwood’s side were victorious on the opening day against Bournemouth, but eight of their next nine assignments ended in defeat, leading to the departure of the former Tottenham boss in late October. Remi Garde did not fare any better in the Villa Park dugout, even if his team did at least scrape draws against Manchester City, Southampton, Newcastle United and West Ham United. Villa finally collected their second win of the season against Crystal Palace on January 12, but that also proved to be their penultimate victory and they were relegated with just 17 points to their name. After their aforementioned demotion in 2003, Sunderland bounced back to the big time at the second time of asking, winning the Championship title at a canter after accumulating 94 points. Yet despite their dominance of the second flight, the northeast outfit came up woefully short in their attempt to avoid the drop the following campaign. Sunderland’s fate was already sealed by Christmas, when they were propping up the table with just five points. McCarthy left in mid-February and was replaced by Kevin Ball on a caretaker basis, but there was to be no new manager bounce at the Stadium of Light: Sunderland won only one more game all season (they triumphed in three in total) and went down with a whimper. Even Huddersfield, who may well go down as one of the worst Premier League teams in history, beat Derby’s pitiful points haul in their 28th match of 2018/19. The Rams picked up a point against Portsmouth on the opening weekend and then climbed off bottom spot with a victory over Newcastle in week six, but that was as good as it got for the East Midlanders, who did not win another game all season. Billy Davies left the club towards the end of November, by which time the writing was already on the wall. Under Paul Jewell Derby collected just five more points to end the season on 11, with their relegation confirmed on March 29.